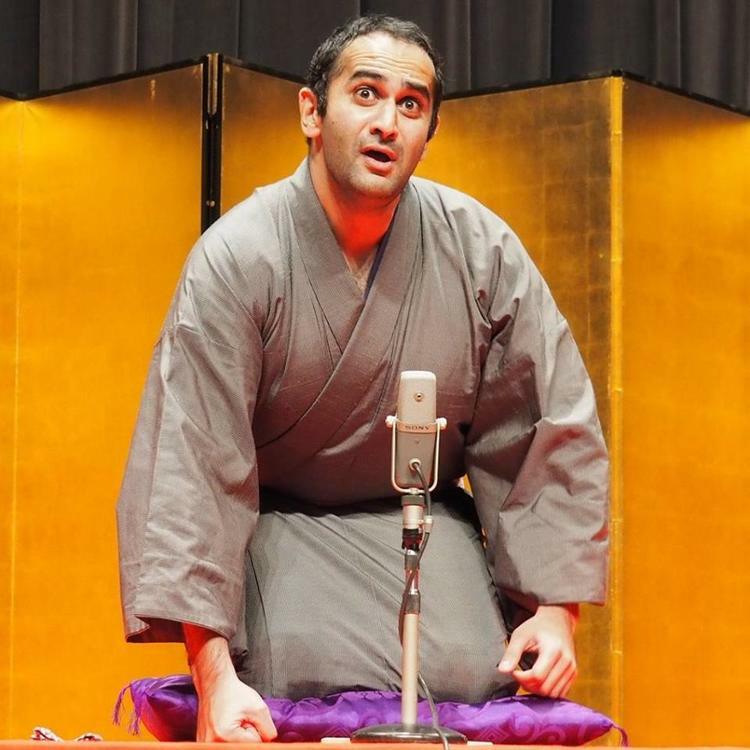 It’s Funny in Japanese is a site where we explore the world of comedy in Japan and beyond. At the end of a rare weekend in Osaka, away from my family, after the end of an academic conference I was presented with the equally rare chance of time to myself out on the town. 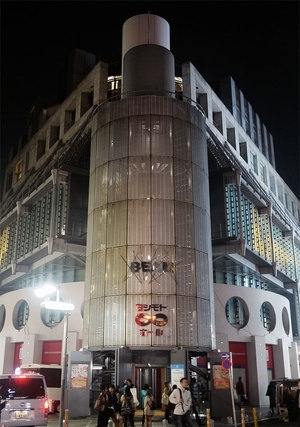 I made my way over to downtown Namba with the prospect of going to see some comedy at Yoshimoto Kogyo's Namba Grand Kagetsu theater. At first, I wasn't 100% sure if I wanted to spend the money (around $50) and time (2 hours) to see some comedians that I wasn't that aware of and a comedy play (called Shinkigeki). I had just spent a great deal of time presenting at a conference about how lacking Japanese comedy is when it comes to political satire and in recent months I had taken a somewhat critical view of typical owarai which, while funny, doesn't offer much in the area of introspection. Another factor was that Yoshimoto Kogyo is really an entity that you just can't ignore in the world of comedy in Japan, similar to Disney in animation in the US. 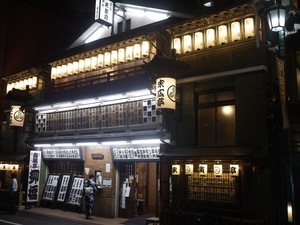 With that in mind, the Grand Kagetsu theater certainly has an amusement park feel to it with tourists from all over Japan filling the seats and even cartoonish versions of famous comedians greeting everyone in front of the theater (similar to Mickey and Goofy). 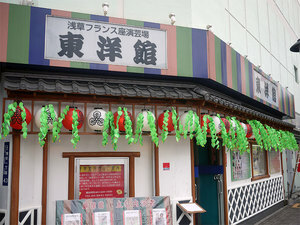 The huge Yoshimoto/Osaka-themed gift store and snack area also offer tourists countless ways to spend their money. This kind of environment can be off-putting to a comedy researcher like I who has seen it all (or most) and because of this, might be unusually discriminating in their comedy taste. 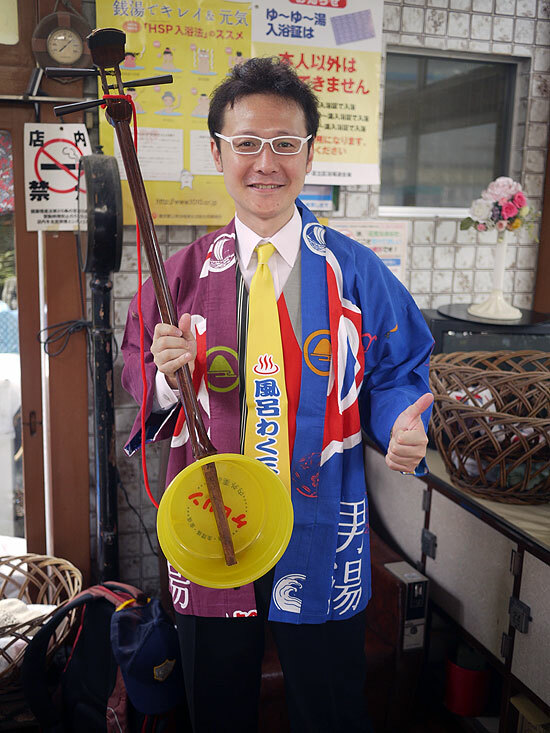 Yoshimoto fans get their picture taken with cartoonish representations of famous comedians. Well, I did end up taking the leap, slammed down my 5000 yen and spent 2 hours or so watching the best that Yoshimoto had to offer that evening and let me tell you I ended up laughing most of the time and had a great evening at the theater. Every comedic duo that came up (as well as the solo act of Murakami Shoji) brought down the house. Perhaps being surrounded by people who had come from far away to laugh weakened my defenses and made it easier for me to enjoy myself freely. Or perhaps it was the double relief of having finished my presentation at an academic conference and ending the school year. Either way, the night was worth every yen I spent on it and more. Some of my favorite performers of the evening included manzai duo Wagyu, Messenger (who I had never heard of before), and Warai Meshi (so funny!). I was especially surprised at how funny Marakami Shoji was. Murakami is a solo performer (those are called pin geinin) and one who you could say peaked long ago in popularity with his ippatsu gag seen here. He really brought the laughs with bits about his bad knee (because of age) and how quickly he has to go to the bathroom. I guess you had to be there! 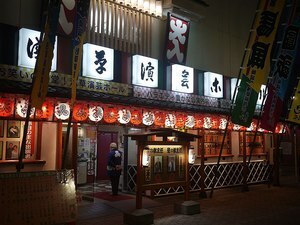 As is always the case at the Grand Kagetsu, after the comedians were done with their routines, the Shinkigeki, a comedic play, began and this uniquely Osakan example of owarai culture was just as entertaining if not more so. It's really hard to describe the complete charm of Shinkigeki with all of the character comedians that pop up in different roles in each of the plays but it was really well-executed and I have to compliment the writers which find scenarios that let different comedians shine. You can see an example of Shinkigeki here. After being completely satisfied with the show I made my way out to the huge lobby and gift shop area. There you can see a display detailing the history of the comedy giant Yoshimoto Kogyo. It includes several documents and photos which I found interesting. Below you can see a photo of one of their old theaters, a lineup of their comedians (circa around the 1930s), and a picture of a Yoshimoto group of comedians who went to China to entertain the troops during World War II. All in all, it was a wonderful way to spend my last night in Osaka before heading back home and I can't wait to do it again when I get a chance. In the end, it really was like a Disneyland for comedy in sense that whenever I go to Disneyland I find myself letting go of my distaste for the mainstream showiness of it and instead find myself having fun. Like Disneyland, Yoshimoto really does what they do (providing safe comedy to the masses for a price) better than anyone else. As the famous Yoshimoto comedian Aho Sakata says, "Arigato saaaan." 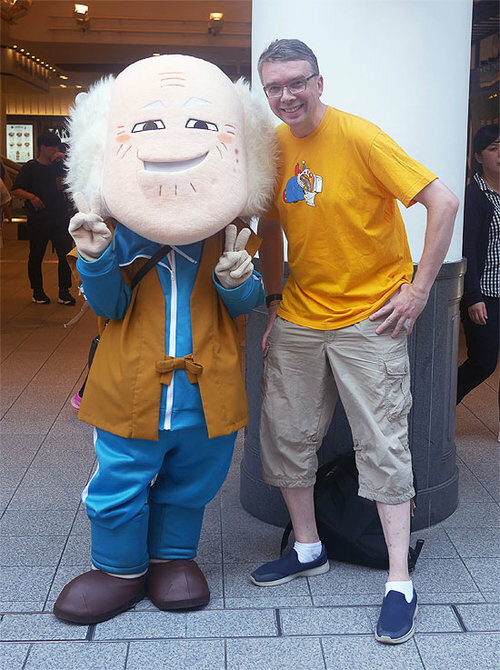 I even got in on the act and had my picture taken with a Yoshimoto comedian character. Apr 3 My 23 seconds of fame: Appearing on my favorite Japanese TV show!